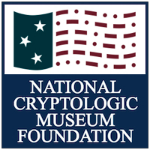 The NCMF provides quality cryptologic programs highlighting relevant topics and featuring expert speakers. The Foundation also partners with others in our community to promote additional outstanding programs. The Foundation hosts quarterly cryptologic programs ~ each focused on a timely theme and featuring an informative guest speaker. Visit the Quarterly Programs page to learn about upcoming and previous programs. The Foundation's annual meeting & symposium takes place in October and features a keynote address, as well as guest speakers and panel discussions. The program also includes an update on Foundation news, Museum events and activities, and progress regarding the new museum project. The Cyber Center for Education and Innovation (CCEI) - Home of the new NCM - and the University of Maryland University College (UMUC) partner to co-host an annual Symposium in Adelphi, MD. The 2018 Symposium "Attacking the Roots of Cyber (In)security: The Role of Education," takes place on 8 November. The NSA's Center for Cryptologic History hosts a biennial Symposium on Cryptologic History in Maryland. 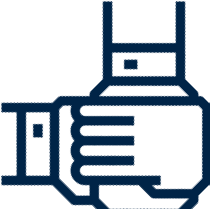 The Foundation helps to promote and support this popular two-day event which attracts speakers and attendees from around the globe. Attendees can choose from a wide variety of workshops, presentations, and demonstrations. The event coincides with the Foundation's annual meeting in October to make three full days of all-things-cryptology! This special Series is an annual program featuring historical lectures named in honor of a former NSA historian. Sponsored by the NSA's Center for Cryptologic History, the lectures are presented by preeminent scholars who address cryptologic issues with a historical perspective. Many of the NCMF programs take place in the L3 Stratis Conference Center located within the National Business Park in Annapolis Junction, MD. 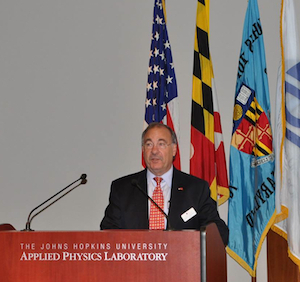 An additional location for NCMF and CCH programs is the Kossiakoff Center at the Johns Hopkins Applied Physics Laboratory in Laurel, MD. Please consult the Event Calendar page for each event to confirm the location. Stay up to date with the latest in cryptology-related articles, books, and news on our Recent Bytes page.